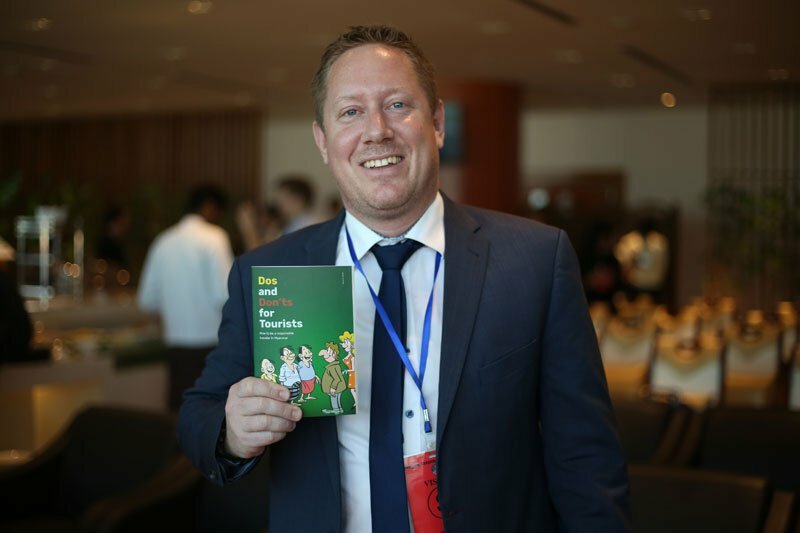 As the number of tourists arriving in Myanmar grows, the government and non-profit organisations are hoping to promote further engagement with the local community to spread its economic benefits, this was explained during today’s launch of a new booklet for foreigners visiting the country. Among several suggestions, the list of ‘do’s and don’ts’ teaches travellers polite manners to mingle with Burmese locals, warns them against the trade of protected wildlife items and encourages them to try alternative means of transport, from boats to ox-carts. “Tourism will play an important role in the socioeconomic development of the country as it can easily reach most places. Next to agriculture, is one of the industries that can really help rural areas,” said Achim Munz, representative of the Hanns Seidel Foundation, a political non-profit organisation that helped draft the booklet. “It’s really important to go off-the-beaten-path, that’s what really helps local communities,” he said. The opening-up of the country in 2012 prompted a dramatic increase of the number of tourists flying to Myanmar, hoping to explore some of its top tourist destinations, like Bagan or Inle lake, and discover the remote natural landscapes of the country. U Myint Htwe, from the Directorate of Hotels and Tourism of the Ministry of Hotels and Tourism, said that 2.8 million visitors entered the country between January and October, a 20% increase from the same period of last year. U Myint Htwe also said that the Burmese executive is working to develop “community-based tourism” and “eco-tourism” options. On the other hand, Andrea Valentin, from the non-profit organisation Tourism Transparency, also involved in the writing of the booklet, praised the efforts to ensure that “communities benefit” from tourism. “There’s still a long way to go, but the initiatives are there,” Valentin said. But she also said that local people still face important obstacles in setting up guesthouses in the country, making it more difficult for them to benefit from tourism. “There is a minimum number of rooms required to open a guesthouse, something that has been problematic,” Valentin said. The new guidelines for tourists will be handed out in airports and customs offices from all over the country. Currently, 15,000 copies of the booklet have been printed, but the promoters hope that the private sector will support the initiative, and help them distribute the text at all kinds of tourist venues. Eleven Burmese cartoonists have helped to illustrate the list of do’s and don’ts.